The BMW i3 has reached 2017 model year which brings a serious upgrade as far as the battery pack is concerned. Last week we heard BMW was sending flyers to inform people about the i3’s significantly improved electric range and now the news is official. The battery’s density has increased from 60 ampere hours (Ah) to 94 Ah while the capacity has been boosted from 22 kWh to 33 kWh. Co-developed with Samsung, the new battery has the same physical dimensions and is available for both the all-electric and range-extending versions. Independent BMW testing cycles have shown the new battery pack will last for up to 114 miles in the combined cycle, representing a major increase compared to the 22 kWh model's EPA-certified 81 miles. In the New European Driving Cycle (NEDC), BMW says the new battery has enough juice to last for 300 kilometers (instead of 190 km). Go for the range extending version with its 650-cc, two-cylinder gasoline engine and you get a 25% larger fuel tank than before (now at 2.4 gallon) for an additional range of 150 km compared to the BEV model. 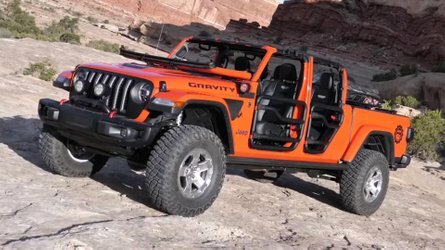 The only downside of the new battery is a minor weight increase, with the BEV version tipping the scales at 2,961 pounds while the REX model weighs 3,234 lbs. 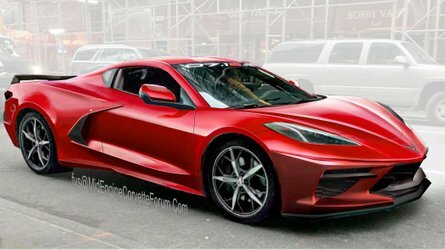 The BEV model is going to need a little over seven seconds to perform the 0-60 mph acceleration and 5.1 seconds for the 50-75 mph task. Being 273 lbs heavier, the REX version is a tad slower in the sprint to 60 mph which takes eight seconds. A full recharge using a Level 2 charger is going to take around 4.5 hours which represents an increase of about one hour compared to the smaller battery. Using 50 kW direct current (DC) fast charging technology, you’ll get 80% of capacity in less than 40 minutes (up by 15 minutes). For every minute of recharging from a DC fast charging station, you’ll get 2.5 miles of range, so 24 minutes of recharging equates to 62 miles of range. Interestingly, BMW says existing i3 owners will be given the possibility to replace the 60 Ah battery with the new 90 Ah pack as part of a retrofit program that will be offered in select markets. 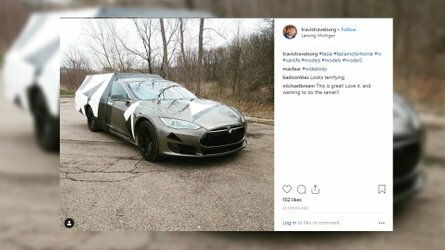 It’s important to mention the 2017 i3 will still be available with the smaller battery if you don’t want to spend extra on the upgraded battery. Besides the new battery pack, the 2017 model year also brings the Protonic Blue metallic paint which up until now was offered only in United States for the i8. 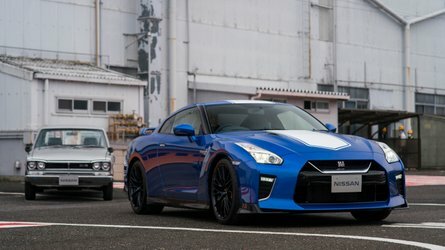 It’s available alongside two non-metallic hues (Fluid Black and Capparis White) and three metallic ones (Ionic Silver, Platinum Silver, Mineral Grey). BMW & Nissan deploy a network of 120 DC fast-charging stations in U.S. The i3 94 Ah US Spec will come as standard with a Deka World interior featuring dark cloth fabric upholstery made from recycled materials. The cabin is also home to a dark oak wood trim or a light eucalyptus wood trim that can be had on the Giga World interior as well. For the first time in U.S., BMW will sell the revised i3 with an optional electric moonroof. Starting late 2016, the i3 will be available with an optional new BMW Home Charger Connect capable of charging the i3’s new 94 Ah battery in 4.5 hours. Thanks to built-in Wi-Fi, the owner will be able to remotely access the charging station’s functions as an alternative to using the LED interface. For now we only have pricing for the German market where the 60 Ah model costs €34,950 BEV and €39,950 REX. Upgrade to the 94 Ah version and you pay €36,150 BEV / €41,150 REX. BMW i3 (94 Ah) with more powerful battery (33 kWh). Up to 114 mile combined1 (hwy/city) range under everyday conditions2. New BMW Home Charger Connect offering additional comfort and connected functions. Woodcliff Lake, N.J. – May 1, 2016… Today BMW announced that BMW i will offer a new model range of its compact electric car, the BMW i3 and from the 2017 model year will be offering a new version with more than 50% increased battery capacity. The 2017 BMW i3 (94 Ah) has a capacity of 33 kilowatt hours (kWh) thanks to the higher energy density of the lithium ion cells. The BMW i team worked to ensure that the battery dimensions remain unchanged while still offering a significant range increase. Even in everyday conditions 2, the new Battery Electric BMW i3, in varying weather conditions and with the air conditioning or heating turned on, a range of up to 114 miles combined1 (hwy/city) is possible as shown by independent BMW testing cycles3. The driving performance figures of the 170 hp AC synchronous electric motor remain virtually unchanged. 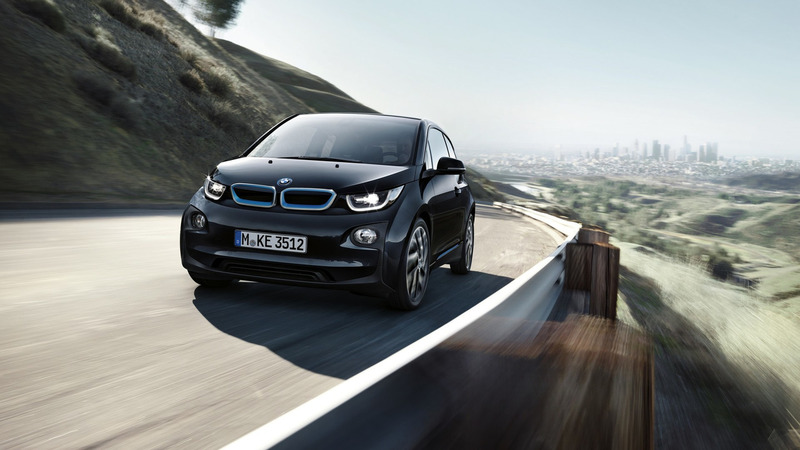 The motor propels the BMW i3 from 0 to 60 mph in just over 7 seconds. This makes the BMW i3 both the sportiest and most efficient electric vehicle in its segment with an expected EPA electricity consumption of 27 kWh/100mi. In addition to the Battery Electric BMW i3, the Range Extender model will also feature the 94 Ah battery. When equipped with the Range Extender, if the driver requires additional range, the 2-cylinder gasoline engine is switched on once the battery is depleted to 6.5% state of charge and keeps the charge level of the battery constant while driving and provides an additional range thanks to a 25% larger fuel tank (2.4 gallons). With the introduction of the BMW i3 (94 Ah), BMW i now also offers a new BMW Home Charger Connect, a residential charging station designed for comfortable and fast home charging featuring additional connected functions. Pricing for the 2017 BMW i3 (94 Ah) will be released closer to market launch. The BMW i3 is by far the lightest car in its segment. Despite the slight weight increase, at 2,961 lbs (BEV), and 3,234 lbs (REX), the BMW i3 (94 Ah) is characterized by driving performance, which is subjectively as agile as the 60 Ah model variant. The BMW i3 (94 Ah) is also powered by the same 3 phase AC synchronous electric motor developed in-house by the BMW Group. The motor generates an output of 170 hp and delivers 184 lb-ft of torque which is available as soon as the electric motor begins to turn. 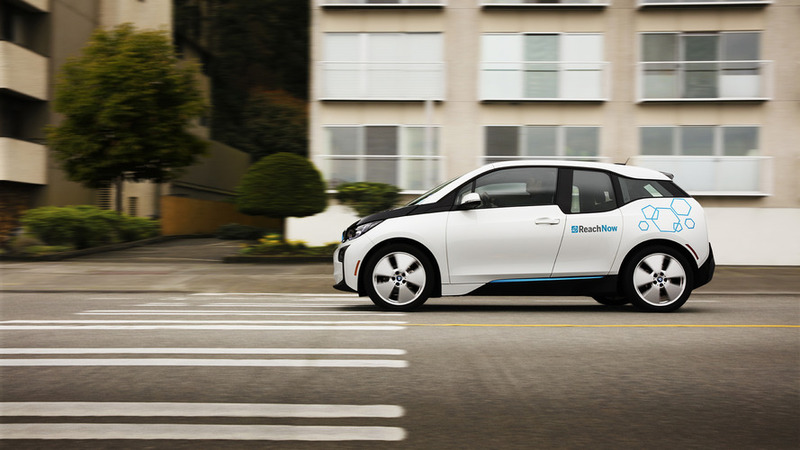 The BMW i3 (94 Ah) accelerates from 0 to 60 mph in just over 7 seconds. The impressive electric motor, small turning circle of 32.3 feet, – a major benefit to driving in the city – BMW’s near-perfect 50-50 weight distribution, precise electric power steering and the stable suspension set-up help to make the i3 as satisfying to drive as every other BMW. The Deka World is now part of the standard profile of the BMW i3 (94 Ah) and features a lightweight dark cloth fabric interior made from recycled materials. Other changes to the standard profile include the addition of the Universal Garage Door Opener, Advanced Real-Time Traffic Information, and Comfort Access. BMW i3 - a success story. The BMW Group took on a pioneering role when it founded the BMW i brand and decided to develop an independent vehicle structure and passenger cells made of carbon fiber reinforced plastic (CFRP) as well as BMW eDrive technology for a purely electric drive. The BMW i3, which was designed for local emissions-free urban mobility, as well as the trail-blazing BMW i8 Plug-in-Hybrid sports car combined with sustainability-oriented premium character. 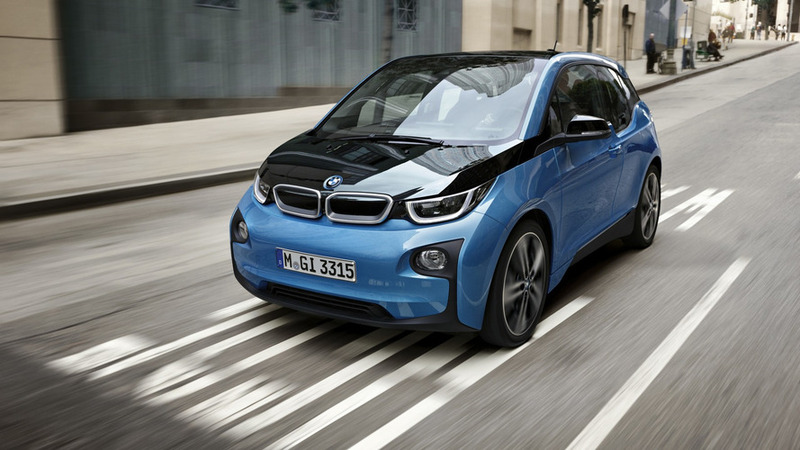 Since the November 2013 launch, the BMW i3 has already established itself at the top of its segment. The most important single market for the purely electric five door BMW i3 is the U.S. More than 80 percent of buyers deciding on a BMW i3 worldwide are new customers for the BMW Group. The BMW i3 and the BMW i8 received a large number of awards for innovations in the areas of lightweight construction, drive, sustainability, driving performance and design. This makes BMW i the brand to win the most awards in the world during its market launch phase. In late 2016, BMW i will be offering the new BMW Home Charger Connect, a residential charging station designed for comfortable and fast home charging. The new BMW Home Charger Connect, with a more compact, sleeker design, charges the battery of the BMW i3 (94 Ah) in approximately four hours and 30 minutes. The charging process starts automatically as soon as the car and charging cable are connected. The BMW Home Charger Connect is operated using an LED interface.